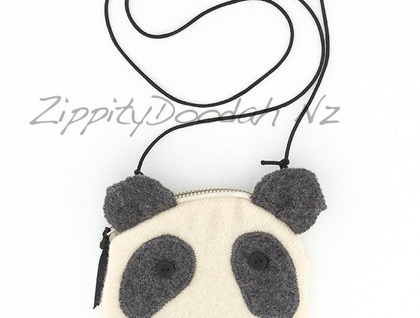 A sweet Panda purse with removable shoulder strap. Handmade from vintage blanket and fully lined with green floral cotton. 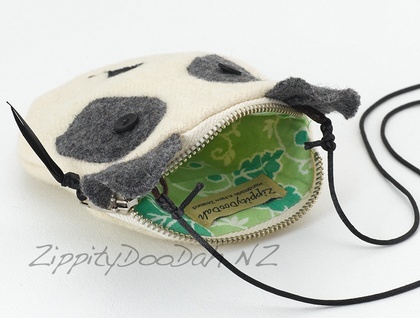 A perfect gift for panda fans, Just the right size to be a small purse that you could keep in your bigger bag, or wear it on your shoulder.